Quotestream Professional is designed for the Financial Services Professional, offering fast, reliable, comprehensive market data, research and analytics. QUotestream Professional delivers low-latency tick-by-tick data and features completely customizable screen, advanced charting, comprehensive technical analysis, news and research. 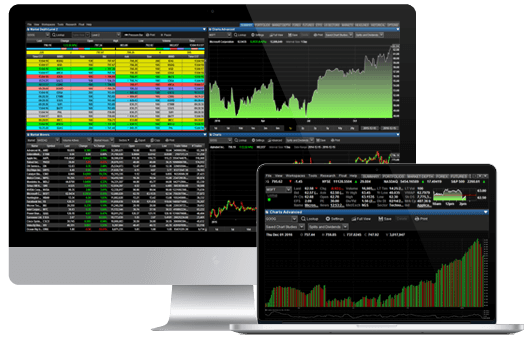 Everything you need in a real-time market data terminal for a fraction of the cost. Quotestream Professional is the most aggressively priced application of its kind. No expensive Server and Circuit infrastructure required (data is all access via the internet). True thin client access (no software to download, no installation required, no upgrades to install, no technical staff required). Intuitive and easy to use, including simple drag and drop functionality and totally customizable screens, layouts, colors, fonts and charting. Total portability (Quotestream Professional is cloud-based, allowing you to access from anywhere, at any time. Can be white labeled and fully integrated into client-systems, with self-administered accounts and data. Fully synchronized Desktops and Mobile Co-companion delivery (view and edit the same portfolios and market data on desktop, mobile phones and tablets). Redundant dual Ticker Plant processing brings reliable low latency data to the application. Bulk licensing and corporate discounts for enterprise client firms. Access to a full range of Equities, Funds, Commodities, Futures, Indices, Forex, ETF's, News, Fundamentals, Charting, Research, Analysis, Corporate Actions, and more. Extensive on-screen and email alerts for price alerts, volume, change, news and more. Quotestream provides the speed, reliability, depth of market coverage, price and service that we were looking for. The solution, along with the customer service, has been excellent. By providing comprehensive up-to-the-second market data and research information, QuoteMedia's applications deliver the best possible information. Thank you, QuoteMedia! With Quotestream Mobile, people can easily stay connected to critical financial information and stock market activity wherever they are.